After months of hard work, we officially became one giant community on 1st January 2019. Impact Hub Prague D10 and Impact Hub Prague K10 now share not only their brand but also their vision, mission, values and joint team. What are the practical implications? What can be found where, how to meet each other and where to send your messages? What does the K10+D10 merger actually mean? What are the practical implications of the merger? There will not be any changes to the operations of D10 and K10. The tariffs (with one exception), prices and terms of membership will remain the same. The exception is the introduction of the Connect tariff and the discontinuation of the Friends tariff at the K10 location. Members, who are currently using the Friends tariff, can use their tariff until the next change they make. Once their tariff has been increased/reduced, it will not be possible to go back to the Friends tariff. Can I use my tariff across the locations? You can use your membership, specifically 30 % of your tariff (up to 30 hours) at other Impact Hub locations in the Czech Republic. You can work in Smíchov in the morning, schedule an appointment in Vinohrady for the afternoon and spend the next two days in Brno or Ostrava. In order for us to be able to provide the necessary comfort for your work and meetings, we would appreciate it if you informed us of your visit in advance. It may happen that we are hosting larger events or planning another unusual situation. Once you arrive, just stop by the info desk. Our team of hosts will be happy to show you the space, explain the rules or recommend the best restaurant in the area. If you have any questions regarding the use of the tariffs, send us a message to community@hubpraha.cz . What if I am a member at both locations? As a member of any Impact Hub in the Czech Republic, you automatically become a member of the entire global network and can use all membership benefits. Every member should choose one primary Impact Hub where they will spend the vast majority of their pre-paid hours. You can use 30 % of your tariff (up to 30 hours) at other Impact Hub locations in the Czech Republic. If you have been a member of D10 as well as K10 until now and need help choosing the right tariff and your primary location, contact our community managers at community@hubpraha.cz. Do we need new membership contracts? I have heard that the Impact Hub is a global network. Can I work abroad? Yes, there are more than 100 Impact Hubs worldwide and our network is still growing. Where can you find us? Check out our global website. You can spend up to 3 business days a year in every Impact Hub outside the Czech Republic free of charge (this applies to all tariffs except for Connect). If you are planning a trip abroad, send us a message to community@hubpraha.cz. If I want unlimited access to the Impact Hub space, will I get keys? Impact Hub Prague D10 - Monday-Friday; 8:30 a.m. - 6:30 p.m.
Impact Hub Prague K10 - Monday-Sunday; 8:00 a.m. - 10:00 p.m.
Where can I find out who is an Impact Hub member? How can I connect with someone? The acquisition of K10 resulted in the addition of 228 interesting personalities. 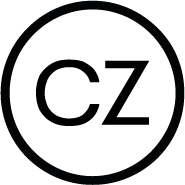 We have more than 1,700 members in total and Hub members in the Czech Republic and abroad include, for example, developers, HR specialists, human rights activists, psychologists, social innovators, marketers and a detective. You can connect with all Impact Hub Czech Republic members using our online platform Hubert. Can I attend any member events? Yes, as a member of any Impact Hub in the Czech Republic you are a member of the entire network and are able to attend member events at any location. Some member events will be relocated to K10, other will stay in D10. All Hub events will remain free for you to attend and if you decide to organize your own, we will be happy to help. An overview of all planned events can be found in our calendar. Can I book meeting rooms myself? Will I get a discount on room rental at all locations? All members will be charged member prices for room rentals which are at least 20% lower than standard prices. If you have any other questions regarding meeting room, conference room or K10 garden rentals, please contact our event team at events@hubpraha.cz. Where can I follow news from the world of Impact Hub Prague? We have created joint communication channels for D10 and K10. We have combined our newsletters into one - our regular HubDates will offer information from both locations. We have merged our social media pages- Facebook and Instagram. We have modified our website. Check it out! Will there be a grand opening or a party to give us an opportunity to get to know each other better? We would like to invite everyone to our annual New Years' Party that will take place as part of a special edition of the Impact Hub MashUp on Thursday, 24th January at 7:30 p.m. in D10. It is the ideal opportunity to enjoy a proper dose of inspiration and networking in the new year. Will you join us?